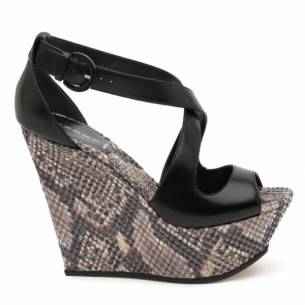 I’m loving the hybrid heel/wedge shoes in Casadei‘s spring summer 2012 collection. Are they a wedge? Or are they a heel? Who cares. They look cool. 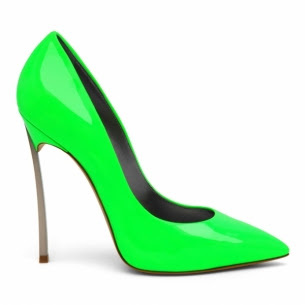 And you can never get tired of a good ole’ pair of stripper heels, especially when they have a tacky/fun neon trim. MILAN - Casadei shoes are hip and colorful but also completely wearable, at least that's the message that comes across at their Spring/Summer 2012 presentation in Milan. Colors are combined with cork heels. 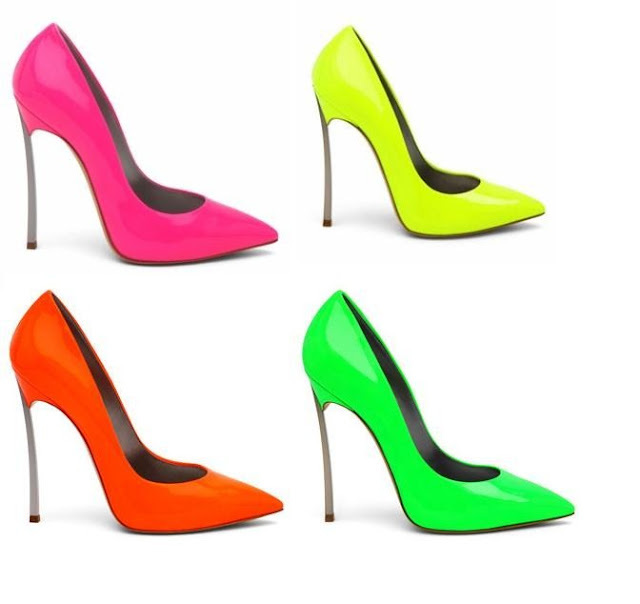 Neon green, yellow, fuchsia, and hot pink colors are in abundance. 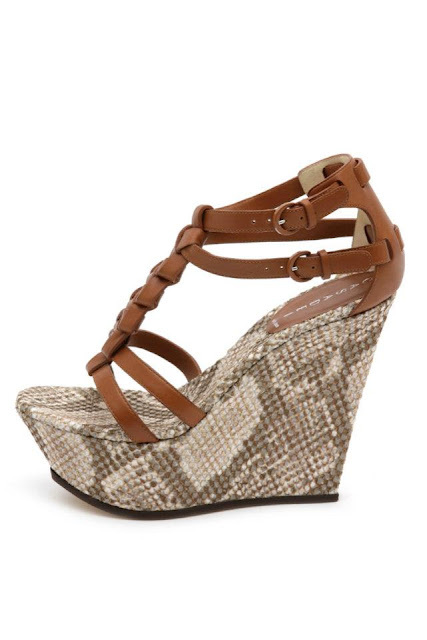 There's also python, which Creative Director Cesare Casadei says "contaminates the entire 2012 collection." He continues, "Let's say that the project developed around python." There's python snakeskin, but they also have a brand new patent python leather, featuring craftsmen techniques. 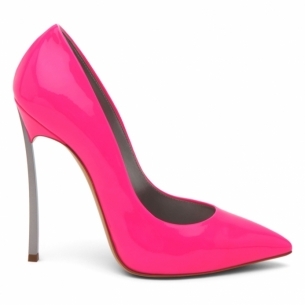 All of Casadei's suppliers are Italian and it's a "Made by Italy" brand. 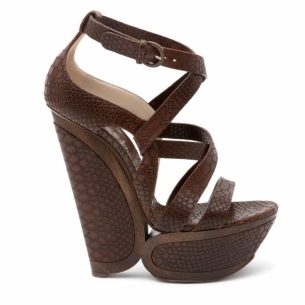 Height is in according to Casadei and this is represented by the use of high platforms, wedges and stilettos. Wood is used for the first time and makes it appearance on the first and third heels. 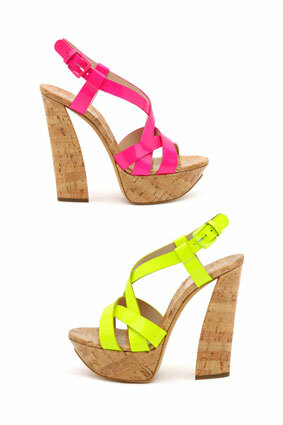 The cut-out wood heel for the first style and the bright color of the second one makes them truly stand out. Also, the brown python/wood heel and black/neon combinations of the third and fourth heels showcase Cesare’s exemplary color combination skills.